In Super Worth International Ltd v Commissioner of ICAC  HKEC 2325 (to be formally reported), the Court of Appeal in Hong Kong has recently held that legal advice privilege does not extend to communications passing between an accountant (or other non-lawyers) and a client even if such communications are created in order to obtain "legal advice" relating to tax law. The Court of Appeal also declined to provide any restatement of the common law in this context, preferring to leave the matter for legislation. In doing so, the Court of Appeal has given a robust endorsement of the UK Supreme Court decision in Re Prudential Plc  2 AC 185. While the Court of Appeal has already this year given an expansive interpretation of the meaning of legal advice (particularly, as regards corporate clients), its judgment in Super Worth International recognises the need for legal advice privilege to be kept within permissible limits for the sake of clarity and certainty*. Lose that clarity and certainty and risk losing the privilege. This is not to give lawyers a "competitive advantage", whether as regards legal advice on tax law or any other law. Rather, it is to recognise the role played by lawyers in the administration of justice when advising clients as to their legal rights. Most clients seek tax advice from a properly qualified accountant. Where "legal advice" on tax law is sought from an accountant it does not attract legal advice privilege. If that is a concern to a client then the advice sought should be obtained through the assistance of a qualified lawyer acting as such. However, in the main, clients do not go to an accountant for tax advice with a view to their communications attracting legal advice privilege. The relevant law governing issues of legal professional privilege in Hong Kong is generally local common law. Lawyers in Hong Kong should appreciate that while the general principles are similar in different common law jurisdictions, local practices can vary. For example, some jurisdictions provide for a limited statutory protection for "legal advice" given by "tax advisers". In other jurisdictions, accountants have in large part sought to side-step the sorts of difficulties faced in Re Prudential Plc through the operation of (for example) multi-disciplinary practices. The decision of the Court of Appeal in Super Worth International is much as predicted. The prospects for a successful appeal (if any) to the Court of Final Appeal are not good. Like it or not, Re Prudential Plc is underpinned by good policy arguments. 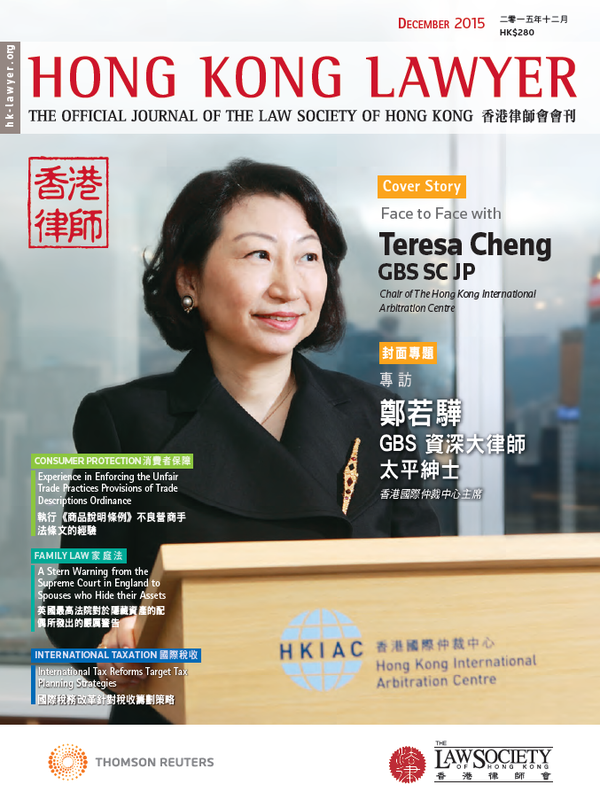 For the background to Re Prudential Plc readers are referred to the feature article in the May 2013 edition of the Hong Kong Lawyer (http://www.hk-lawyer.org/en/article.asp?articleid=1009&c=97). * The Court of Appeal's judgment in Super Worth International is unanimous; two of the appeal judges were also members of the court in the landmark case of Citic Pacific Ltd (No. 2)  4 HKLRD 20. Also note: (i) the ambit of "litigation privilege"; and (ii) the protection afforded to certain "counsel or solicitor" communications afforded by (among other things) s. 51 of the Inland Revenue Ordinance (Cap. 112).